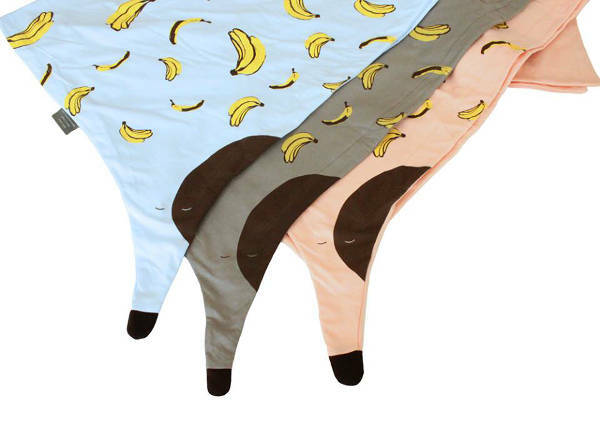 Update - go bananas over new children's textiles from Brouk Sisters! 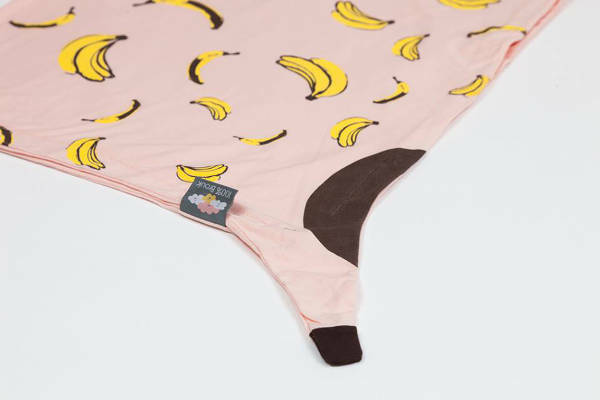 Update – go bananas over new children’s textiles from Brouk Sisters! Soft, pretty, squishy – all things that make for a cuddly comforter for small children. Everything in this collection is completely cuddle-worthy and now comes in a fruity new design. 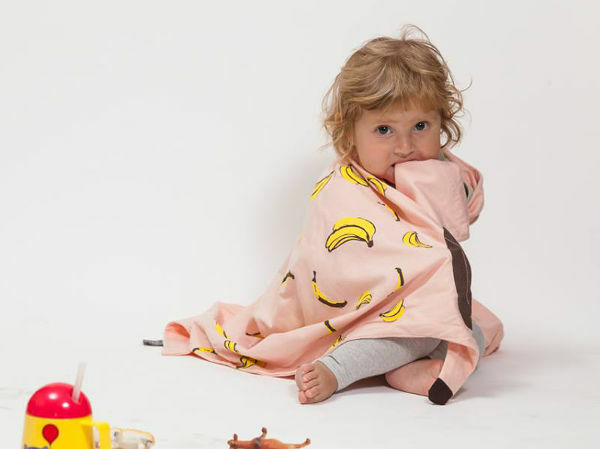 The Brouk Sisters have been working furiously on a new design for their beautiful children’s textiles, and we thing the new banana split collection is a winner. 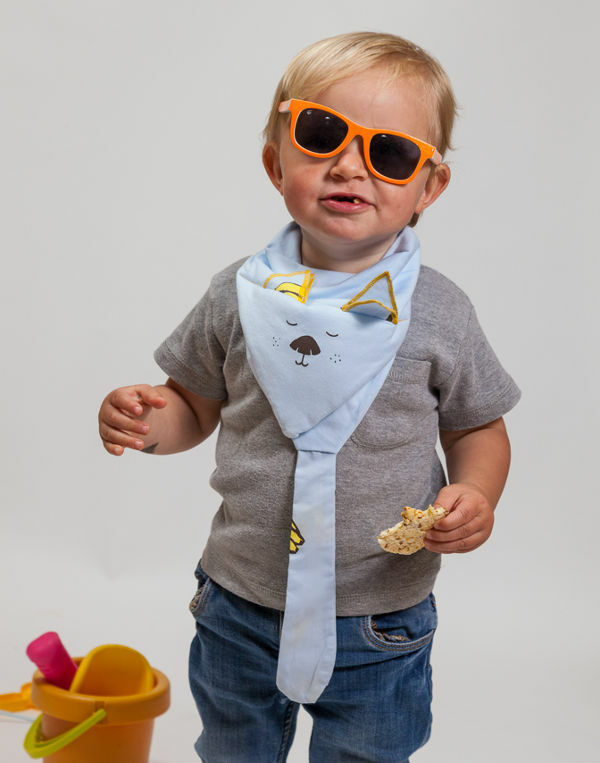 They’ve also managed to somewhat reinvent the bib while they were at it – look at the Numi, a transitional bib which can function as a dribble-catcher, clothing protector and comforter ($36). 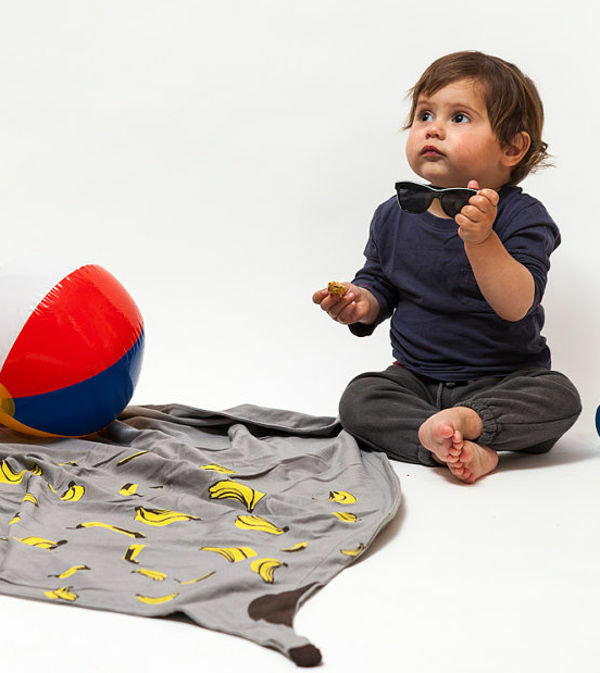 The banana split design now adorns all of our 100% Brouk favourites, the Olivier Baby Pillow ($43), the Baby Stroller Blanket, the stroller liner and baby summer blanket. You can shop the new collection at 100% Brouk’s Etsy store. 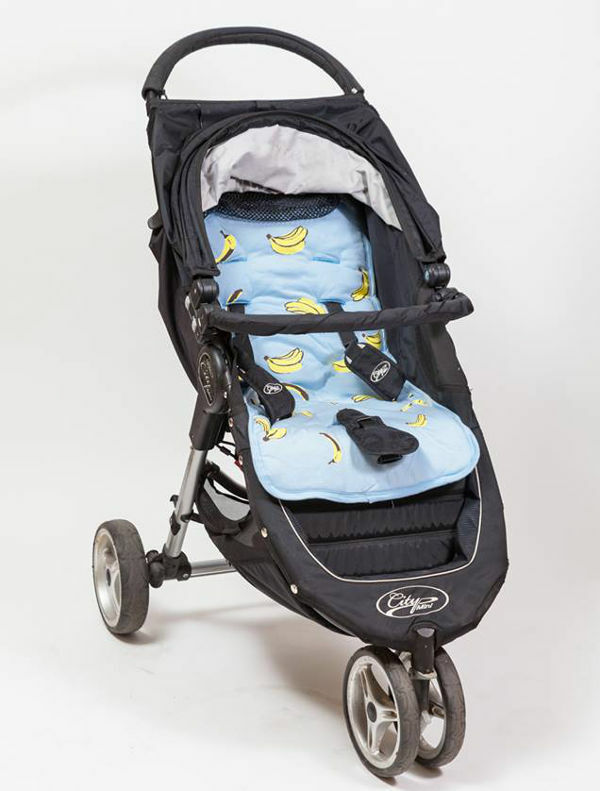 If you want a banana pram to match your banana blanket, check our previous post on Bugaboo’s latest Andy Warhol collaboration.